This is Dr. LoRusso’s letter to the Wall Street Journal regarding screening mammography for women in their forties and also additional screening tools available to detect breast cancer. We thought you would appreciate reading it. In “Mammograms Aren’t Perfect but They Still Save Lives” (op-ed, Feb. 27), Drs. Ezekiel J. Emanuel and Daniel F. Hayes concede their recommendation of mammography screening beginning at age 45 is arbitrary, not based on any studies. We need to educate women that breast cancer isn’t a rare disease in women in their 40s, as 16% of all breast cancer in the U.S. occurs in women in their 40s. Women who get breast cancer in their 40s account for more than 40% of years of life lost in this country to breast cancer because their life expectancy is longer. The American Cancer Society recommends that women begin screening at age 40. Moreover, there are very high-risk women who need screening much earlier than 40. The authors accurately describe MRI as a screening exam for very high-risk women. However, they fail to mention two other excellent diagnostic tools. For women with dense breasts, an option is screening breast ultrasound, a noninvasive test, and for all women, the new, more sensitive mammography, 3D tomosynthesis which finds more invasive breast cancers than traditional mammography with less need for recalls. The most important message of Drs. Emanuel and Hayes’s article is clear—that mammography saves lives. 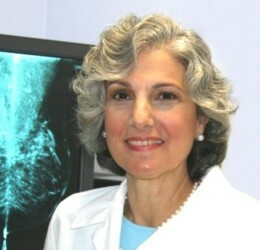 Diane C. Giambo LoRusso, M.D.